established working relationship with the Nigerian Railway Corporation, to provide rail freight/haulage services to businesses in Nigeria seeking to move goods by rail. At ConnectRail, we believe that Rail haulage has a huge potential for meeting growing mobility needs of multinationals and SMEs in the Nigerian economy. Research and expansion of current rail haulage business(es) into regional, national or international markets. Analyse rail operations, trends, costs, review financial commitments and obligations to project future revenue and expenses or to provide advice. Nigeria (AMCON) and was granted banking license on August 5, 2011, by the Central Bank of Nigeria (CBN). The Bank has met and exceeded all capital and capital adequacy requirements of the CBN and assumed the deposit liabilities, certain other liabilities and assets of former Bank PHB Plc, following the revocation of the erstwhile bank's operating License by the CBN. · Education 10 May Start. • Work as a member of a team to design and/or review statistical analysis plans. Our client is a well-managed and reputable oil and gas services firm. It provides technical, safety, project management and supply chain services to leading multinationals. It also provides manpower development and human resources services to them. It seeks to strengthen its business development function as a result of emerging opportunities. A foremost Nigerian Technology Company in existence for over 25 years is offering an attractive compensation package to fresh graduates. A publishing company is seeking applications for sales representatives. 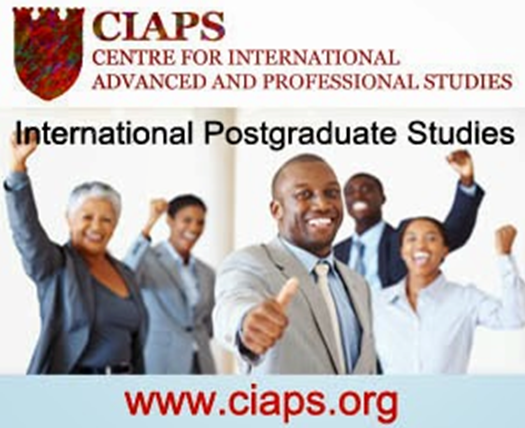 Applicants should have BSC/HND and minimum of 2 yrs experience. This position is principally responsible for targeting prospective and already acquired opportunities. It will coordinate activities focused on value creation for new assets and their development by working with other discipline leads for exploration, engineering, legal and finance. Standard Bank is a firm believer in technical innovation, to help us guarantee exceptional client service and leading edge financial solutions. Our growing global success reflects our commitment to the latest solutions, the best people, and a uniquely flexible and vibrant working culture. To help us drive our success into the future, we are looking for an experienced to join our dedicated team at our Nigerian offices. Red Star Express Plc, a licensee of FedEx Corporation is a leading logistics solution provider with offices in over 160 locations in Nigeria. Red Star Express offers a wide range of career options ranging from Sales, Marketing, Information Technology, Management, Customer Services etc. Available positions from time to time are posted on this site and you may complete and submit your applications online for position that interest you. We are an equal opportunity employer for all part-time and full-time positions. In addition, we have longstanding tradition of promotion within to encourage our people to develop and grow within the company. e.Stream Networks (Nigeria) Limited is a provider of broadband network infrastructure and connectivity solutions. We combine all connectivity options to deliver a bespoke solution for your communication needs. As part of our core values, we make conscious effort to offer a superior client service experience and partner organizations. e.Stream Networks is dedicated in providing various services for commercial and public enterprise regardless of their size using Fiber, Satellite Technology and Radio Communication System. Whyte Cleon Limited - Is an Indigenous Human Resource Outsourcing & Management Solutions provider in Nigeria with over 18 years business experience. We are a solution based business consulting firm with focus on the provision of practical and well researched solutions to help our clients bridge the gap between Strategy Development, Talent Acquisition, Strategy Execution and Organisational Performance. These are implemented by providing organisational development and human resources management expertise and knowledge to guide, advice and support our clients in achieving and sustaining workplace success. Credit Control Officer at African Newspaper Plc. African Newspapers of Nigeria Plc invites applications from suitably qualified candidates for immediate appointment as Credit Control Officer. Candidates must be holders of B.Sc or HND in Accounting or Business Administration with two (2) years cognate working experience, preferably in the newspaper industry. A 5-Star Luxury Tourism and Hospitality Industry is currently recruiting due to expansion across the country and West Africa. MBA is an added advantage. To teach ICT based on school curriculum and scheme of work thereby creating a productive and demanding learning environment. Manage the school portal and website and ensure necessary information are updated from time to time. Managing the school general ICT infrastructure and ensure they are well maintained. AB Microfinance Bank Nigeria Limited is a member of an international network of Microfinance Banks under Access Holding Microfinance AG, with its Head office in Berlin, Germany. The Group provides world class banking services to micro, small and medium enterprises and private individuals in Africa and Asia. Job vacancies at Apex Gas Limited, Plant Operator, Pick up drivers.